Oh, and there was also the small matter of bandleader and chief songwriter Benjamin Gibbard’s much-publicised divorce from New Girl and 500 Days of Summer star Zooey Deschanel, a subject that certainly took centre stage on his 2012 solo record Former Lives (which, rather incredibly, Deschanel guested on) and so prominently informs the entire concept of the video for Kintsugi’s lead single ‘Black Sun’. But if you’re clued up on your Death Cab, then you’ll know that heartbreak and separation are rather more general themes that tend to emerge whenever Gibbard picks up his guitar: it’s a tactic that’s enabled them to become the quote-unquote emo band it’s perfectly acceptable to like (‘I Will Possess Your Heart’ is an absolute tour de force); the able companions and musical soothers of the disaffected and dispirited for nigh-on two decades. And Kintsugi looks set to continue that tradition through its name alone: evoking both the Japanese method of mending pottery and a philosophy pertaining to the notion that the breakage and repair of an object (or person. 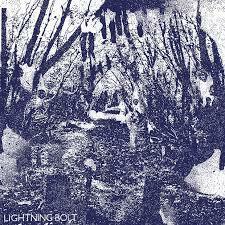 Or band) is a vital part of its history, it’s a telling piece of symbolism that simply screams catharsis. Death Cab have also had to reconfigure their band dynamic, as Walla’s departure forced the band to consult an outside producer for the first time. The man hired was Absolution and Foster the People producer Rich Costey, who Gibbard recently described as 'someone who took us out of our comfort zone and who also had an awareness of the band’s catalogue.' Costey has certainly done his homework in terms of the latter point: Kintsugi is 11 tracks and 45 minutes long, precisely the same length as Death Cab’s last effort, Codes and Keys. 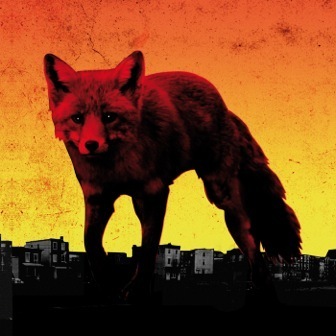 That record generated a warm-ish response, but the general consensus also highlighted the band’s inability to demonstrate a noticeable trace of progression – a decline that the band must have hoped might be arrested by Costey’s influence as an outsider in the studio. If Kintsugi aims to initiate such a noticeable shift then it’s tough to pick up on it, as the change in personnel isn’t hugely obvious musically (particularly as Walla contributed prior to his exit). Proceedings do get off to a rather spritely start with the opener ‘Black Frame’, particularly when Jason McGerr’s energetic drums burst into life around the two-minute mark. But the potential for jauntiness is precluded somewhat by Gibbard’s downcast opening remarks: “I don’t know where to begin… there’s too many things that I can’t remember”. It casts an archetypally-melancholic shadow that blatantly declares the aforementioned breakup theme; reinforced further by the closing couplet: “And I guess it’s not a failure we could help / And we’ll both go on and get lonely with someone else”. 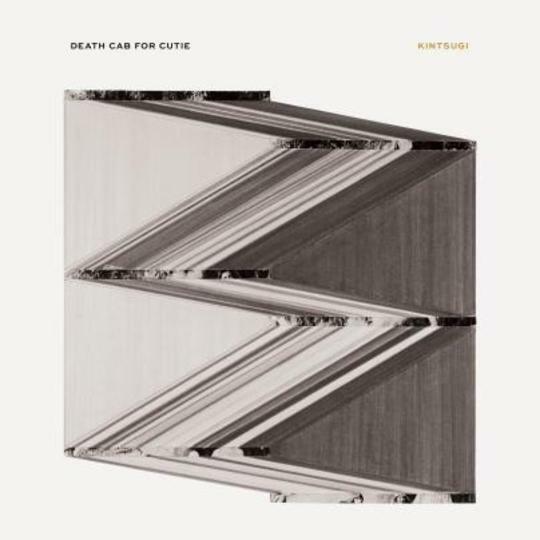 ‘Black Sun’, meanwhile, begins like a Ryan Adams cut with its rolling rhythms and watery guitars, before briefly taking on a heavier and fuzzier form as Gibbard takes an accusatory aim: “How could something so fair be so cruel?” So far, so Death Cab. The ethereal beginning of following track ‘The Ghosts of Beverley Drive’ gives way to some propelling riffs to uncover the thoroughly rock’n’roll slice of the Kintsugi pie, whilst the later pairing of ‘Good Help (Is So Hard To Find)’ and ‘El Dorado’ are so determinedly uplifting that they could soundtrack a scene in a teen movie where the hard-up protagonist breaks into a joyous run along a suburban street, finally free of those pesky inner demons/pushy parents/terrible jock boyfriend (delete as applicable). Based on that evidence alone, you might be forgiven for thinking that Costey’s presence brought some drivetime steel to the Death Cab dynamic - but it’s not Kintsugi’s sole headline. That latter instrumental surge occurs only after a slight lull in tempo that showcases the kind of intimately emotional overloads that we’ve come to expect from the now three-piece. ‘You’ve Haunted Me All My Life’ and ‘Hold No Guns’ are intensely-reflective moments of melancholy (the bare bones of the latter simply featuring Gibbard and his acoustic), whilst a similar outcome is achieved on closer ‘Binary Sea’, an ooh-led number that smoothly parks Kintsugi into its driveway as Gibbard delivers one final blow to your heartstrings: “For if there is no document, we cannot build our monument / So look into the lens and I’ll make sure this moment never dies”. Art that derives from emotional pain has so often proved to be a necessary creative evil, transforming itself into the critically-successful phoenix that arises from the charred remains of a relationship: take Noah & The Whale’s still-magnificent The First Days of Spring or Bon Iver’s For Emma, Forever Ago as teary points of reference. Kintsugi is a finely-made tearjerker of a record that evokes similar levels of sadness as those examples, featuring some crisp and well-structured songwriting that launches torrents of emotive air strikes to summon an appropriate degree of solemnity. It certainly doesn’t take too much of a listen to be convinced about how much of a breakup record this is, but where it’ll really test you in terms of its longevity will be your willingness to actively and emotionally engage with it. If you’re a fan of Death Cab or general musical sadness, then Kintsugi may speak fairly clearly to you (and perhaps alter your opinion on just how 'amicable' Gibbard and Deschanel’s split actually was). But if you’re none of the above, then it may just pass you by.